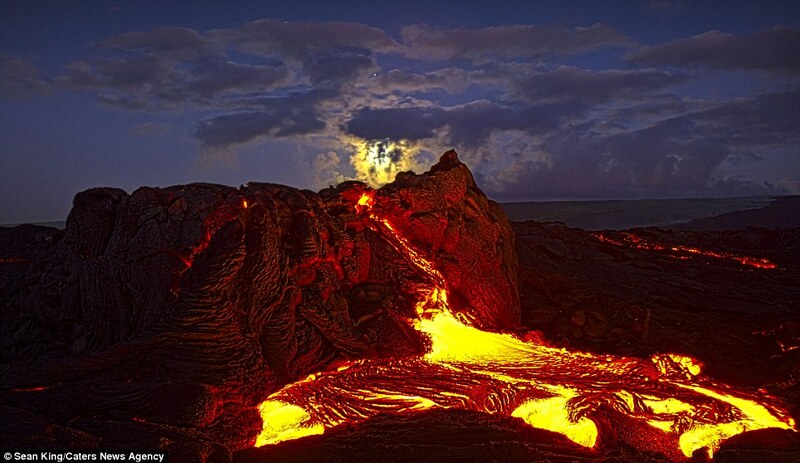 Fire spits high into the air as rivers of lava ooze from a Hawaiian volcano that has been erupting continuously since 1983. 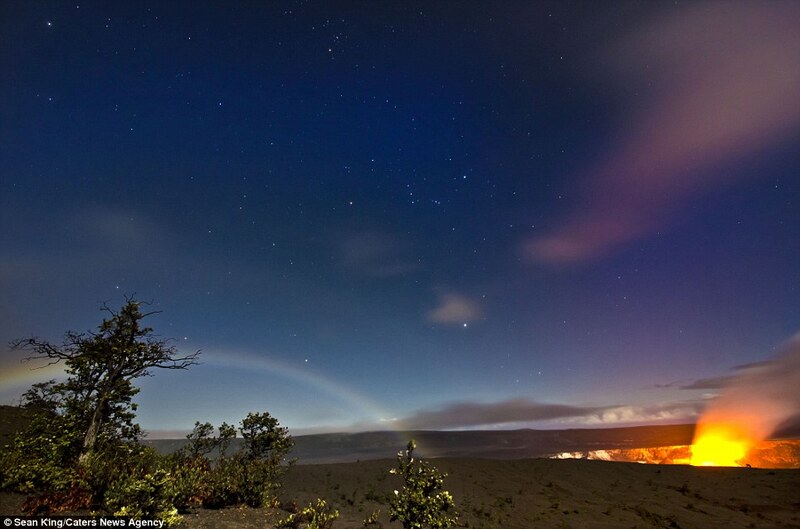 Taken under starlit skies, the stunning images of Kilauea, the most active of the five volcanoes that form the main island of Hawaii, could easily be mistaken for scenes from another planet. 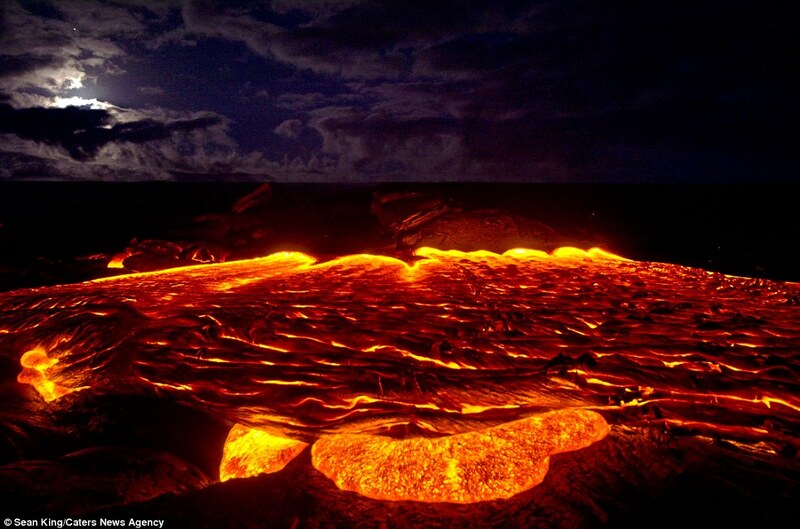 They are the work of daredevil photographer Sean King who regularly scrambles to within inches of molten lava at temperatures of up to 1,500C, dodging poisonous fumes and burning off the soles of his shoes along the way. 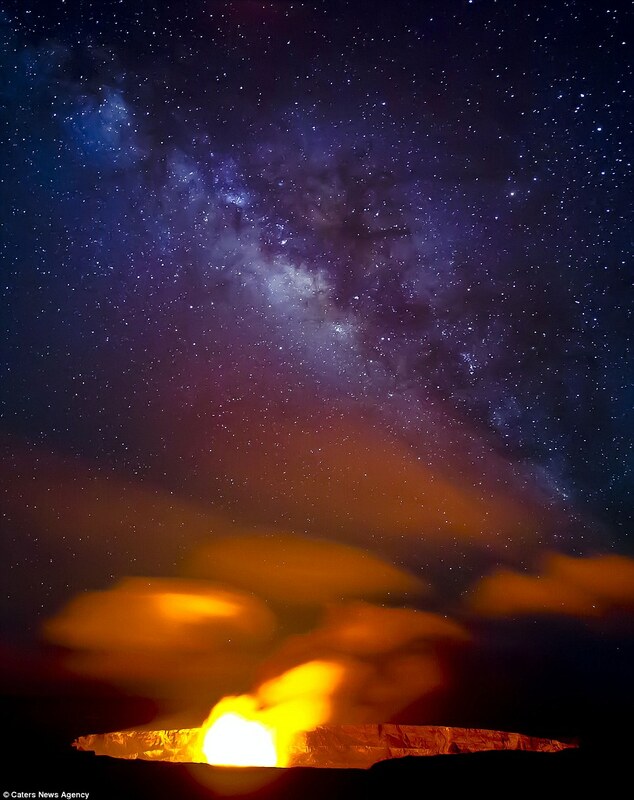 Lava lover Mr King, 47, who is colour blind, has dedicated his life to documenting hauntingly beautiful images of volcanoes on his island home of Pahoa, Hawaii. 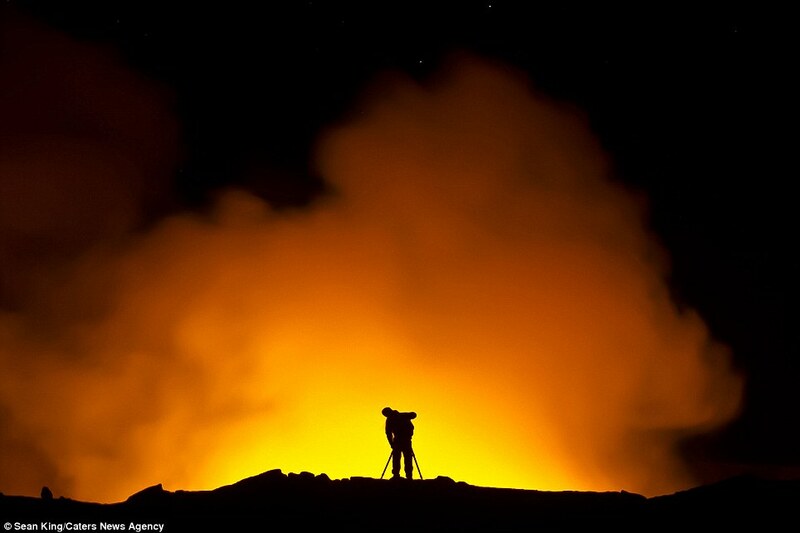 Mr King spends hours waiting for the ultimate eruption and has even had to dodge fountains of lava bubbling at over 1,500C. 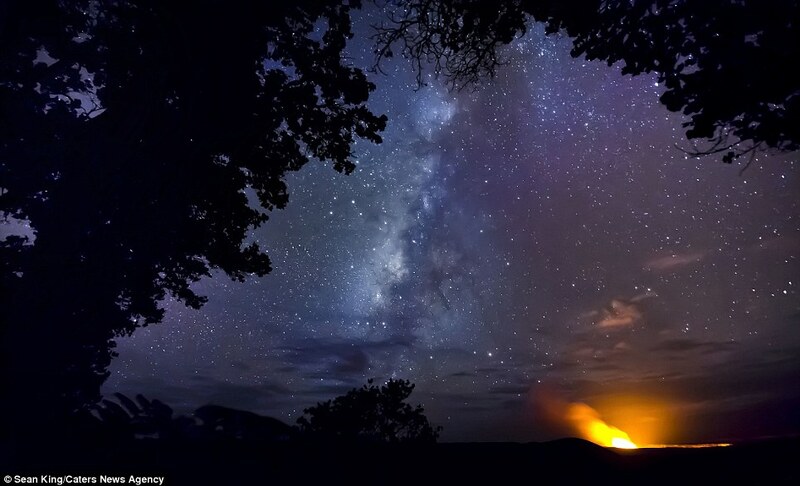 He has not only captured eruptions, but skies filled with glowing red clouds, otherworldly pictures of the milky Way, meteors, moon bows and lava waterfalls. Sean said: ‘I usually shoot wide angle 15 to 25 second exposures of the flow during the night time, so I need to get extremely close, usually about an inch away. ‘Flows can move at around five miles an hour and can really make you sweat or melt your gear. 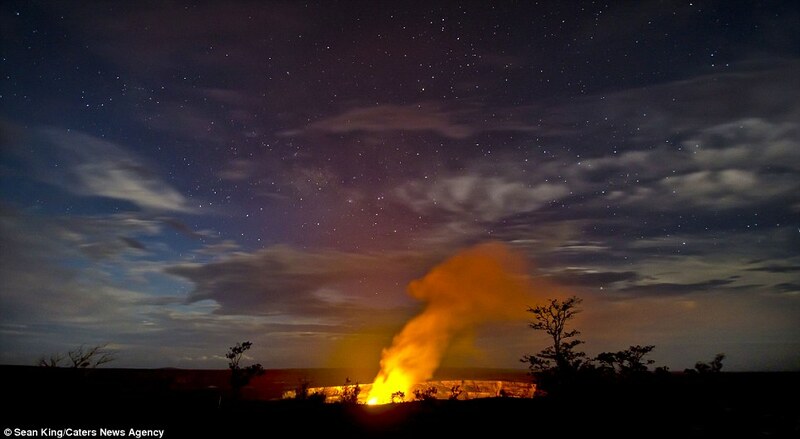 You can hear the lava churning, popping, hissing from the distance and the plume from the Halemaumau volcano is usually pretty big, it’s amazing to witness. 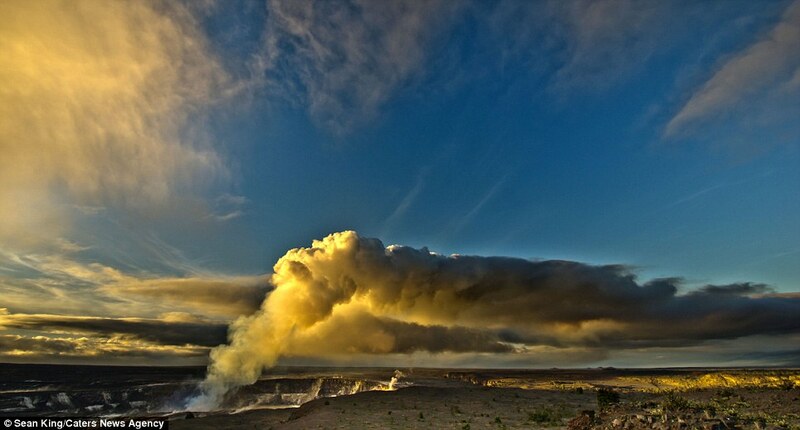 In Hawaiian folklore, all the five volcanoes on the island are sacred with Kīlauea’s Halemaumau Crater serving as the body and home of Pele, the goddess of fire, lightning, wind, and volcanoes. Sean is colour blind, but uses this to his advantage as it helps him to avoid overcompensation of certain colours and tints in his photos. Safety is paramount and coming home to his wife and mother is what spurs him on to be diligent during his adventures. 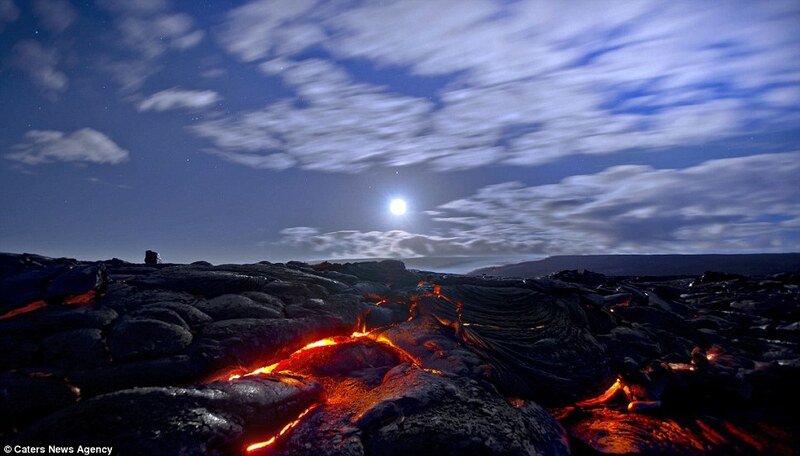 He added: ‘If I’m out taking photos I have to be super careful, poisonous fumes and the unimaginable heat from the lava is extremely dangerous. 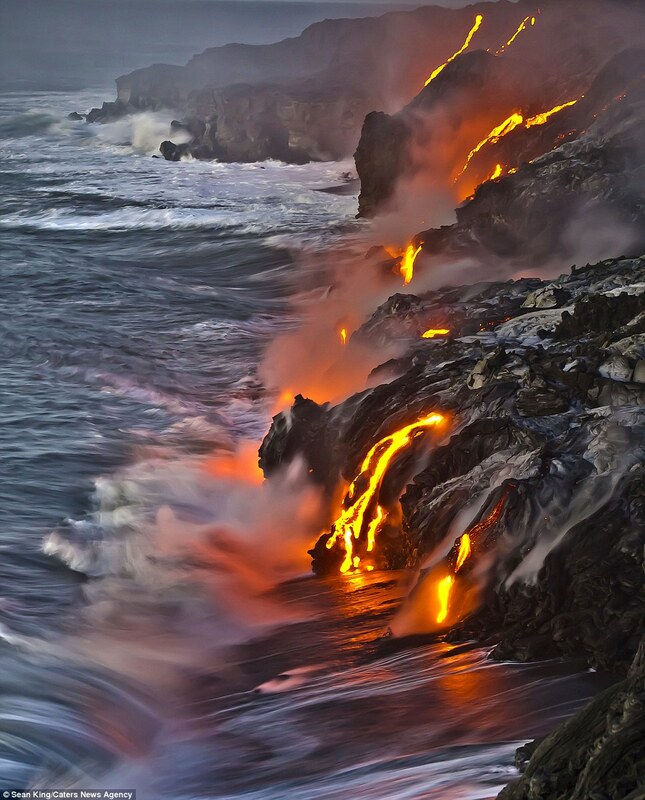 Where the lava meets the ocean it spills down 45-foot-high cliffs sending boiling water bouncing back. 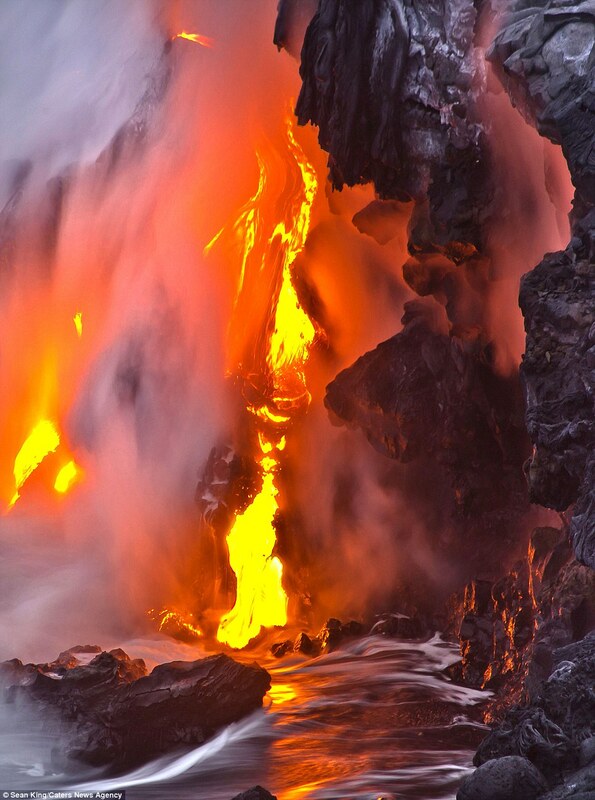 ‘The flow builds lava shelves at the coastline and becomes unstable meaning it can collapse into the boiling hot ocean at any time. Sean fell in love with photography by accident, wanting to share his new surroundings and experiences with his friends back home, he brought a camera on a whim. Originally from New York, Sean is a carpenter by trade but moved to Hawaii with his family nearly eight years ago.